Patchy Work of Mini Grey: Happy 8th Birthday Milly! 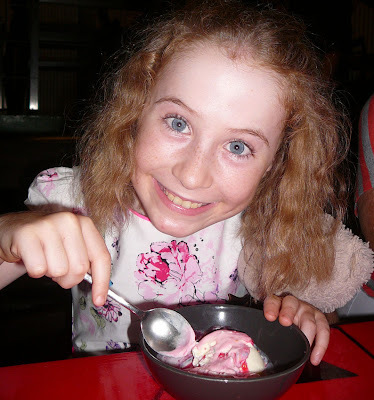 Happy 8th birthday dear Milly Moo! This photo sums you up perfectly. You like to wear pretty dresses like a young lady. You still carry Berry your teddy with you when you are tired and we are going out a night. You like to pull funny crazy faces at the camera like your Dad. And you like to apply your learning knowledge outside the classroom as seen here, demonstrating how a tsunami is made with your icecream! Thank you for being you! We love you very much Milly! Happiest of days to your pretty girl!